A Guantanamo employee in charge of force feeding at the facility told RT correspondent how exactly the inmates ‘like’ the procedure to be performed. 15 of the detainees are reportedly still being force fed at the detention center. While reporting from inside Guantanamo Bay prison, RT’s Anastasia Churkina, was able to film in Camp Delta, which houses a hospital where in additional to medical procedures patients are force fed. While lawyers and human rights groups condemn the procedure as inhumane and cruel, a Gitmo employee, who showed the RT crew around the force feeding room, did not share that attitude, saying that he never heard from his patients that it was painful. 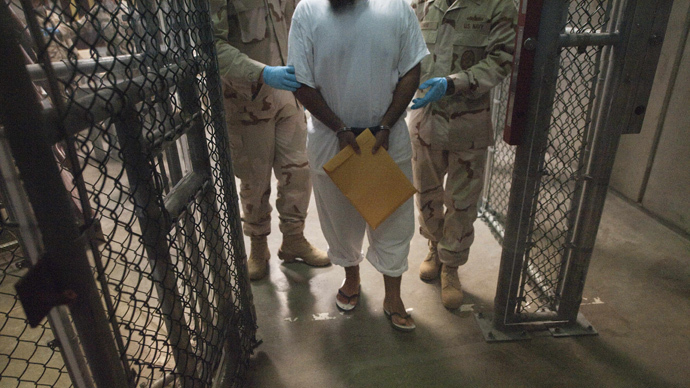 He actually described how the Gitmo detainees “liked” the procedure to be done. “Before it [the force feeding tube] is passed down the nose, we lubricate it, and we give the patient a choice: do they want lidocane, which is an agent that will numb the area - or if they want olive oil to lubricate the tube. Most of our patients have been using olive oil. They seem to like it. Some of our patients are so used to it, they will describe which nostrils they want,” the staffer, who could not have his identity disclosed, said. Ramzi Kassem, a Gitmo detainee lawyer, based in New York, is questioning this optimistic outlook on force feeding. 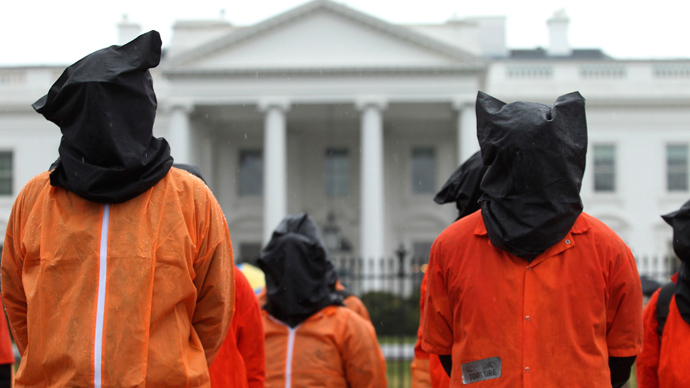 “The force feeding that my clients have experienced at Guantanamo, they’ve certainly described it as torture. The restraint chair that they’re strapped to, they’ve actually called ‘a torture chair’,” Kassem told RT. Still the prison officials keep insisting force feeding is not more that “uncomfortable”. However RT correspondent’s initiative to experience it for herself was not welcome. “I volunteer that the procedure be demonstrated on me,” Churkina says. “Request declined”. 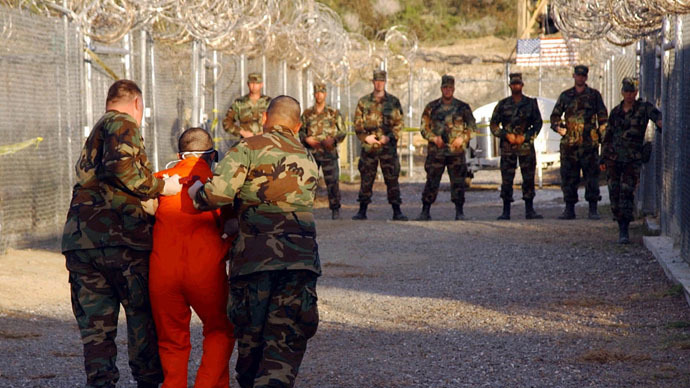 A report, released on Monday by a US-based watchdog, the Inter-American Commission on Human Rights, described force feeding as “cruel and inhumane treatment.” The group found “systematic violations” at Guantanamo and called for its immediate closure. 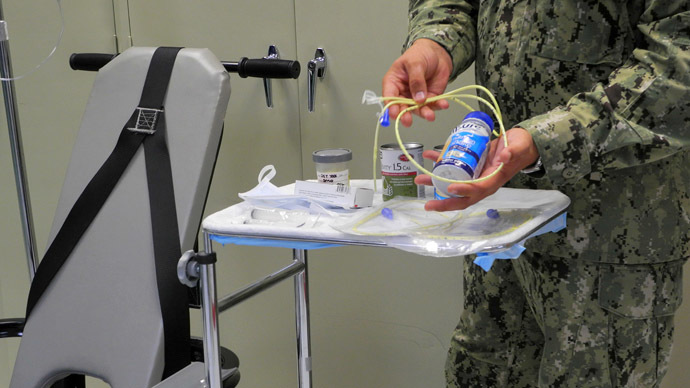 On October 18, a US appeals court indicated it could in future allow Guantanamo Bay hunger strikers to legally challenge force-feeding procedures. In just over a decade, a total of 779 prisoners have been held at the facility. The majority were released without charges. Today 164 remain. Over half of them have been cleared for release, but are still incarcerated. The detainees protested their years-long stretch in limbo with a hunger strike, which started in February, 2013 and reached its peak in July, when 106 of the then 166 prisoners refused to eat. At that time, 46 of the strikers were force fed. 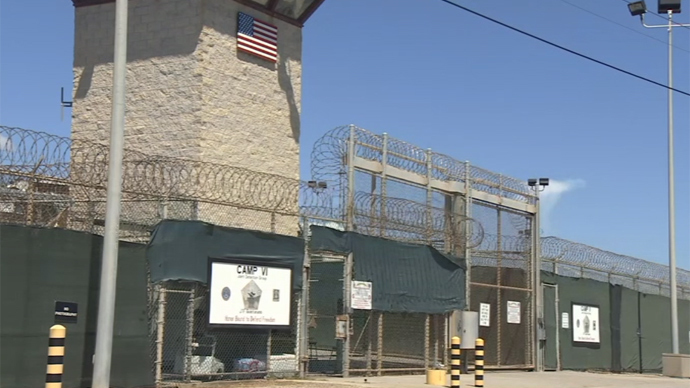 There’s a striking difference between the outside and the inside of Guantanamo Bay camp, according to RT’s Anastasia Churkina. Learn more about it by watching her report from the infamous facility.